Super Squat Strength is a percentage based progression using 1RM and time under tension to train Max Effort strength. It can be programmed in a focused strength cycle, or in a “Fluid” cycle which trains multiple attributes concurrently – strength, work capacity, endurance, agility, etc. Super Squat strength session design is a percentage based progression based upon 1 Repetition Maximums (1RM) to increase your Working Strength, or the ability to do multiple reps with short recovery times with near maximal effort loading. MTI’s Super Squat progression is based on Dr. Strossel’s famous book, but with our significant lab rat-proven modifications. It can be programmed in a heavy strength focused cycle, or in a “fluid” cycle which concurrently trains other fitness demands such as work capacity, endurance, and core strength. The key to the Super Squat design is the time under tension, or time beneath the barbell. The progression uses 1 Round of 20 repetitions of the prescribed lift, with 3 breaths between each rep. This effort will take approximately 4 minutes, and is extremely challenging. Expect shaky limbs by the time you’re done. 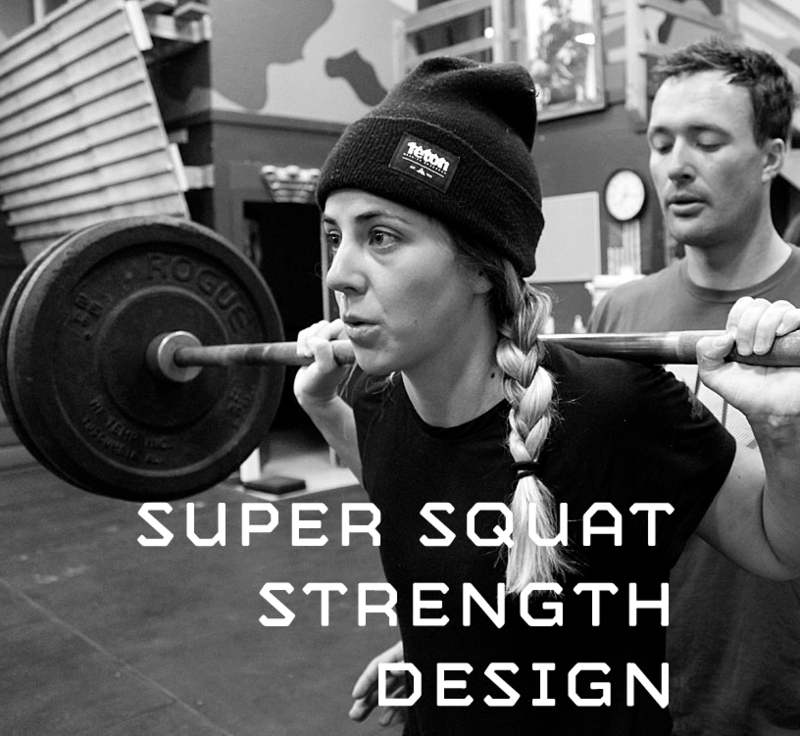 The Super Squat Strength design uses percentages based on 1RMs to incrementally increase the load. The volume (total repetitions) will remain the same through out the cycle for each exercise, but the weight will get heavier. The “Super Squat” title is slightly misleading, as we have utilized it for Back Squats and Bench Press. How we test for 1RM (1 Repetition Maximum) for Lower and Upper body exercises. The specific set/rep schemes and percentage progressions we deploy in Super Squat Strength Programming.